A Guide to Old Property Vs New Property. Josh Financial Services is committed to helping you find the right mortgage product. We offer a variety of products to meet each borrower’s individual needs. We make the process of securing a mortgage simple and straightforward by offering you the latest in financial tools that enable you to make sound financial choices. Our role as your mortgage broker is to provide you with a comparison of various loan options and assist you in selecting the right loan and securing the best finance package according to your needs and circumstances. Josh Financial Services is your choice of a mortgage broker for consumer and commercial vehicle and equipment finance. Asset finance and leasing are designed for the purchase of plant and equipment used in business production such as trucks, Manufacturing Plant, Office Equipment, Materials Handling and Earth Moving Equipment. Our Asset Finance and leasing specialists have extensive experience in arranging and structuring vehicle financing solutions for your personal and business use. We have partnered with a number of lenders that include banks and private lenders. Josh Financial Services is a national commercial mortgage loan broker. We offer loan products and programs for Commercial Real Estate financing. Commercial properties include office, industrial, mini-storage, retail and hotels. Josh Financial Services has direct access to the most aggressive lending sources in the country. We have fixed rate loans and Variable rate loans available as both Business Loans and Commercial Mortgages. We have access to a number of lenders that will finance your next property development project or construction. Step into the property market or expand your existing portfolio with right advice and mentoring. As an independent mortgage broker company, we are here for you every step of the way, whether your goal is to start investing in property or expand the existing portfolio. We are experienced and successful investors and have proven strategies to help you build your portfolio. We can help you unlock the secrets of accelerating your portfolio in some cases positive cash flow investments. $2000 cash back on refinances per property. $1500 cash back on purchases per property. Applications submitted between 1st Jan 2019 to 30th June 2019. Home Loans under Advantage Package only. $395 annual package fee applies. Packaged home loans include an interest rate discount, no annual credit card fee and more. A 100% Offset account with variable rate home loans. Discounts on a range of standard variable and fixed rate home loans. We are one of the most trusted and experienced Mortgage Brokers in Sydney. Here are some of the products and services we offer. Josh Financial Services is your choice of mortage broker for consumer and commercial vehicle and equipment finance. Asset finance and leasing are designed for the purchase of plant and equipment used in business production such as trucks, Manufacturing Plant, Office Equipment, Materials Handling and Earth Moving Equipment. Our Asset Finance and leasing specialists have extensive experience in arranging and structuring vehicle financing solutions for your personal and business use. We have partnered with a number of lender that include banks and private lenders. Josh Financial Services is a national commercial mortgage loan broker. We offers loan products and programs for Commercial Real Estate financing. Commercial properties include: office, industrial, mini-storage, retail and hotels. 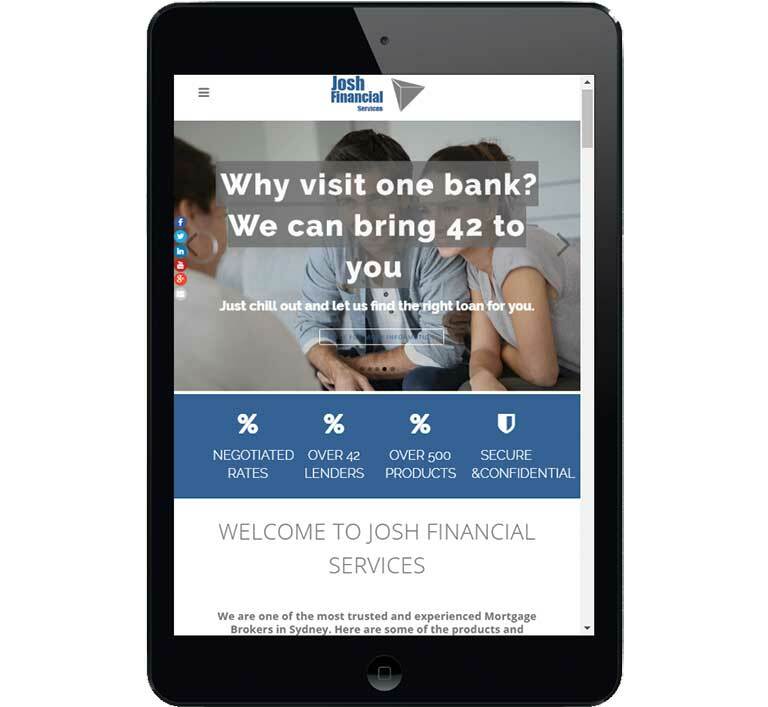 Josh Financial Services has direct access to the most aggressive lending sources in the country. As an independent mortgage broker company, we are here for you every step of the way, whether your goal is to start investing in property or expand the existing portfolio. We are experienced and successful investors and have proven strategies to help you build your portfolio. We can help you unlock the secrets of Accelerating your portfolio with in some case positive cash flow investments. 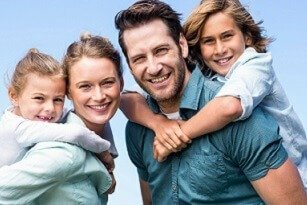 Why us as Mortgage Broker? We have built our reputation on honesty, integrity and prompt service. Here are some of the reasons. Powered by technology and experienced Mortgage Brokers, we will help you get access to a wide range of home loans, commercial loans, asset finance and development loans from a panel of 42 lenders. We will always be there to help you navigate the approvals process. We work harder to earn your trust and build relationship. Most important to us is create a personal connection with you. Individual attention is paramount and quick responses are our priority. What our aim is as mortgage broker? Honesty and Integrity are at the hallmarks of the service we provide to our clients. We honour promises to clients and keep commitments. As mortgage broker we know that each client has specific needs. We strive to meet those needs. We provide a wide array of products, services and high quality individual attention. Our aim is to provide you with professional and ethical advice. We have built our reputation for integrity and honesty. Through our monthly newsletter and phone calls we strive to keep you informed if new products come on the market that we think would suit you. At JFS we know that the client has specific needs. We strive to meet those specific needs with a wide array of products and services. Most important to us is create a personal connection with you. Individual attention is paramount and quick responses are our priority. These guys are thoroughly professional and gave great advice. We noticed the difference from the first time we met. All of the information was provided upfront and explained in detail. The guidance and hand holding throughout the process was great. We felt we were dealing with a friend not a Mortgage Broker. On top of great service we got a free iPad! Disclaimer : Home Loan comparison rate based on a $150,000 loan over 25 years. Fixed loan comparison rate applies only for loans with an LVR of 80% or less and a loan amount of $150,000 to $249,999. WARNING: This comparison rate is true only for the examples given and may not include all fees and charges. Different terms, fees of other loan amounts might result in a different comparison rate.